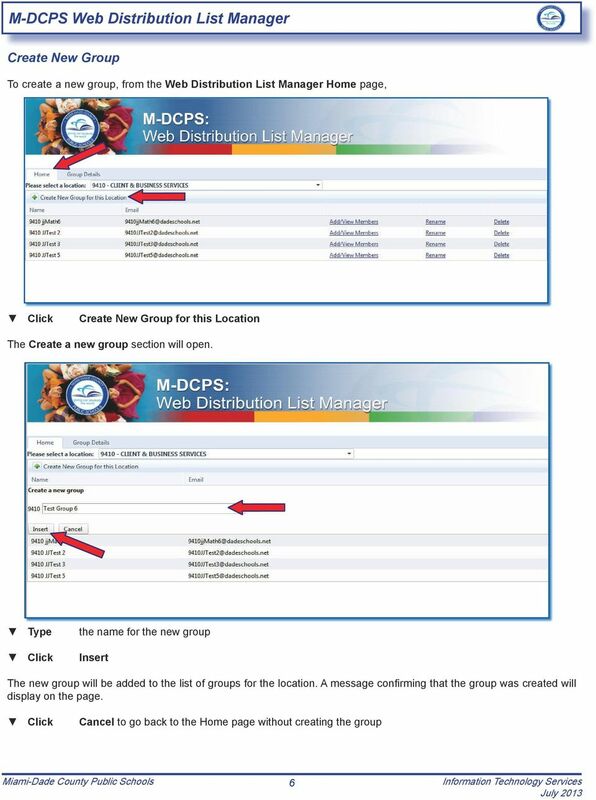 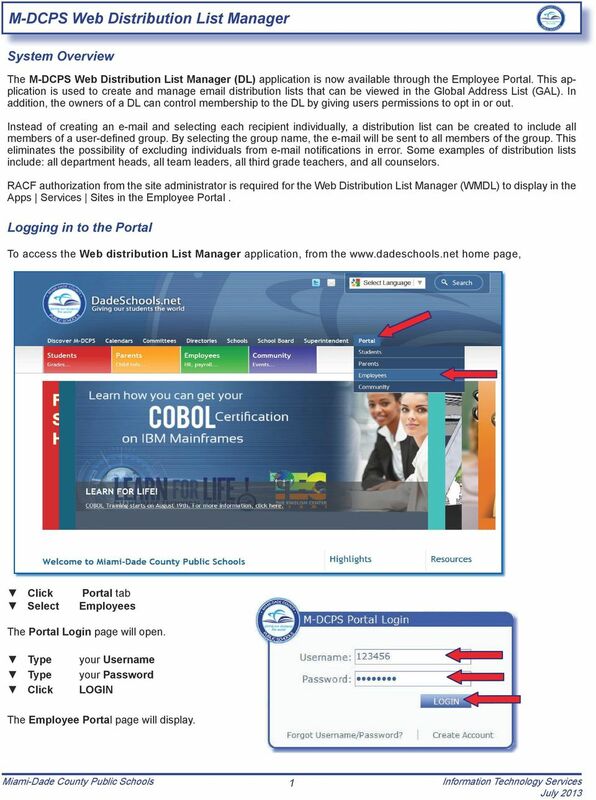 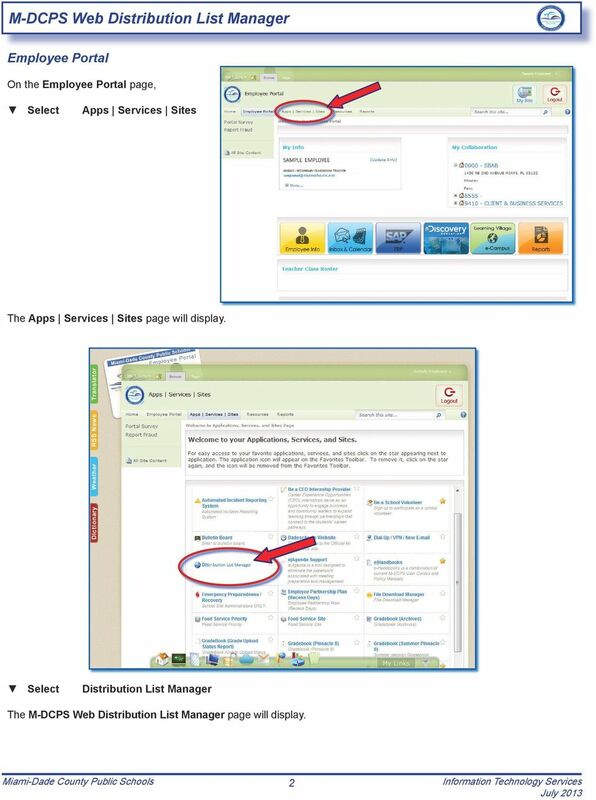 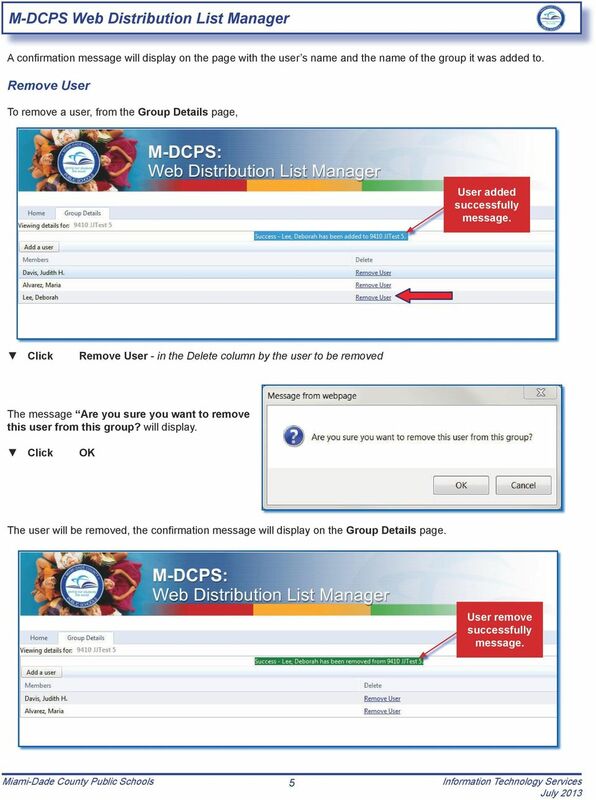 Download "M-DCPS Web Distribution List Manager"
Purpose The procedures below provide outlined steps for managing distribution lists using OWA (Outlook Web App). 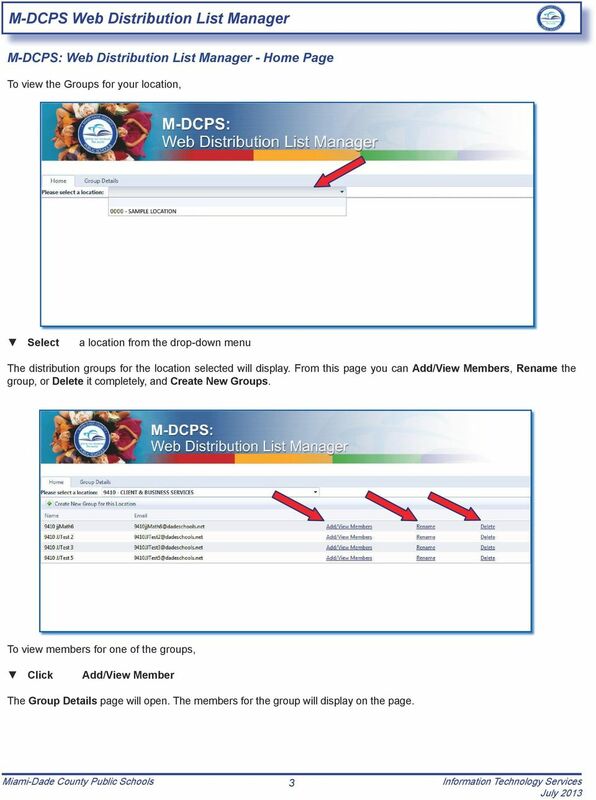 You can control what people are allowed to do once they can view your by setting sharing permissions at an appropriate level. 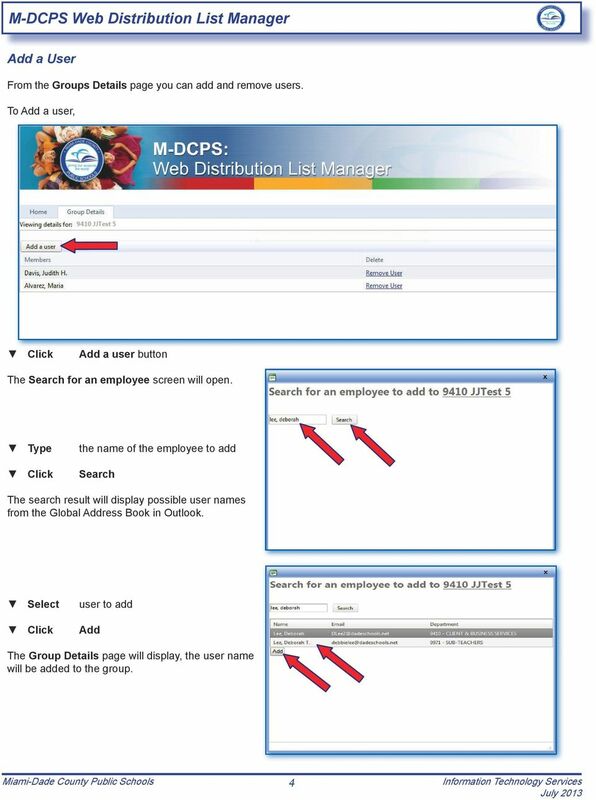 Client Timesheet and Expense Instructions Page 1 Log In The web portal allows timesheet approvers to log into the system to view working candidates, approve and reject timesheets, and manage positions. 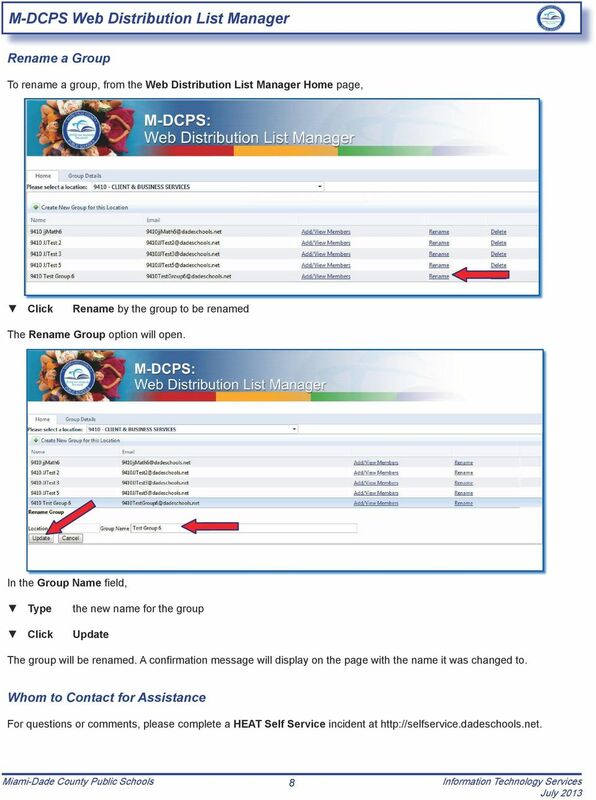 Accessing the Professional Development Plan (PDP) Evaluation Process Staff Evaluations Edit Professional Development Plan.